One of the most eagerly anticipated games coming out this year is no doubt Sekiro: Shadows Die Twice. This game is being made by FromSoftware, the illustrious developer behind the Darks Souls games and the hit PS4 exclusive Bloodborne. Fortunately, Sekiro: Shadows Die Twice won’t be a PlayStation exclusive unlike the earlier Bloodborne. Also, this is not a sequel to either that game or the Souls series, which FromSoftware director Hidetaka Miyazaki has already said is over. Also, unlike Miyazaki’s earlier games, the upcoming Sekiro won’t have multiplayer of any kind, something which may have annoyed those who enjoyed the multiplayer elements in games like Demon Souls. Another distinguishing feature about Sekiro: Shadows Die Twice is that unlike Dark Souls and Bloodborne, it won’t have a silent protagonist. 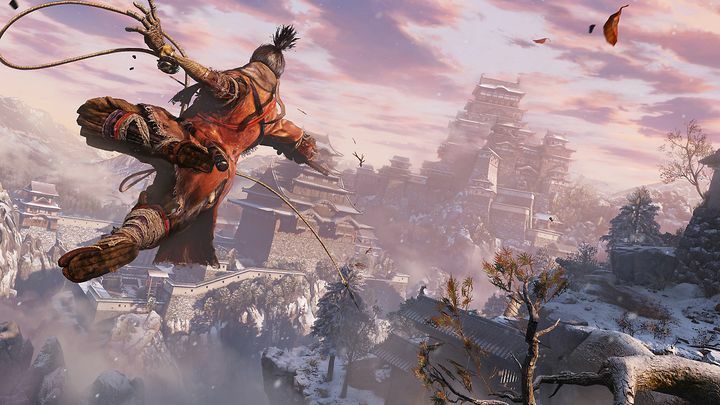 Rather, titular hero Sekiro will have a voice, as was recently reported on VGR. “Having this key protagonist allows us to build a cast of characters around him, and his personality, and his history. We feel like, you know, not the typical NPCs that you run into during the game, but these kind of central – these core characters that are central to his presence in the world, and his story – are going to be playing a lot of that role of the story in the gameplay”, said game director Hidetaka Miyazaki. Of course, FromSoftware fleshing out the story and world by having a voiced protagonist in the game is certainly welcome. In the end, though, it’s going to be the action what breaks or makes Sekiro: Shadows Die Twice, so here’s hoping the third person combat is just as intense as in the Dark Souls games when this hits shelves in March this year.